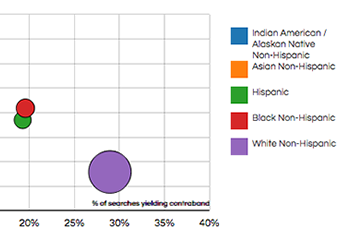 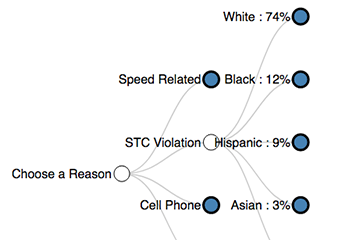 This site provides access to raw traffic stop data and tables for each police district in the state as part of Connecticut Racial Profiling Prohibition Data Project. 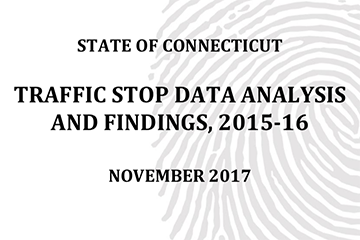 These data are for stops conducted between October 1, 2013 and December 31, 2018. 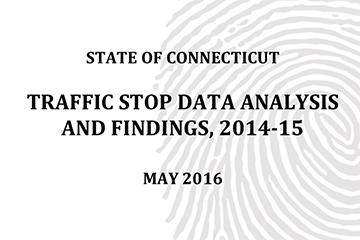 First enacted in 1999, Connecticut's anti-racial profiling law The Alvin W. Penn Racial Profiling Prohibition Act (Public Act 99-198) prohibits any law enforcement agency from stopping, detaining, or searching any motorist when the stop is motivated solely by considerations of the race, color, ethnicity, age, gender or sexual orientation (Connecticut General Statutes Sections 54-1l and 54-1m). 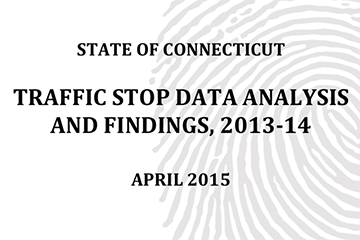 During the 2012 legislative and special sessions the Connecticut General Assembly made several changes to this law including a key provision which shifted responsibility for its implementation to the Office of Policy and Management in consultation with a newly established Racial Profiling Prohibition Advisory Board. 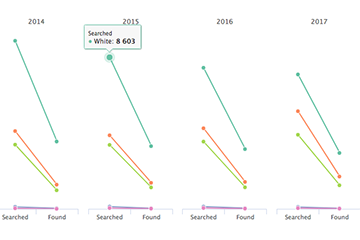 May 2018 Are the Outcomes of Stops Different Across Racial Groups? 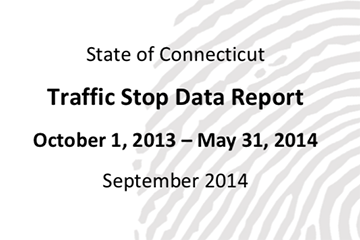 Get summary of traffic stops for any dates between October 1, 2013, until December 31, 2018. 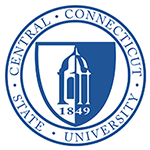 Download full data dictionary here.